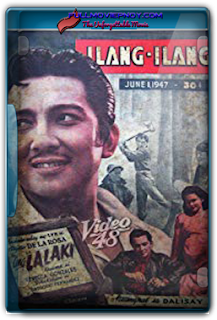 Ang Lalaki is a 1947 Filipino Action film under LVN Pictures. 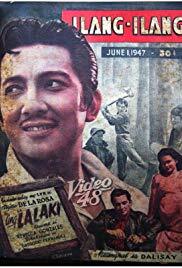 It stars Rigelio Dela Rosa, Rebecca Gonzales, and it is directed by Gregorio Fernandez. 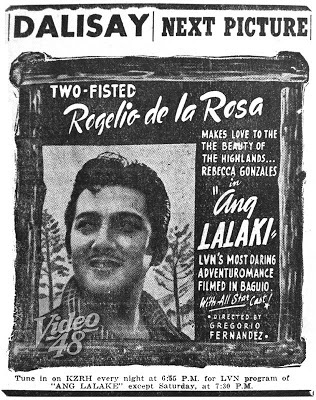 TWO-FISTED Rogelio Dela Rosa makes love to the beauty of the Highlands in "ANG LAKAKI" LVN's most daring Adventuromance filmed in Baguio.